We Are a Legacy Brand with a Great Story to Tell. Donatos was founded by 19-year-old Columbus, Ohio native Jim Grote who borrowed $1,300 and had a vision for a company that put customers first. The centralized kitchen opened with the goal of having a consistent product at every Donatos location. Donatos opened its first franchised location in Zanesville, Ohio. The same year, Donatos built its proprietary, world-class Dough Innovation Center to further ensure product consistency. Impressed by the brand, McDonald’s acquired Donatos and sought to expand the brand nationwide. Donatos was re-acquired by Jim Grote and Jane Grote Abell so the business could grow on the values and culture it was founded. Jane Grote Abell’s book The Missing Piece: Doing Business the Donatos Way was published. It tells the story of a classic American family business, and key learnings from her four decades of experience growing Donatos into the franchise it is today. 154 Donatos restaurants are open, and we’re looking for multi-unit operators to help us bring the brand to more cities. We Deliver on our Promise to You, Your Associates and Your Community. Donatos is a family-owned, privately held company that treats our Franchise Partners like they are part of the family. Our mission is to promote goodwill through our products and service, principles and people. The home office team and Franchise Partners are active in the communities that they serve and beyond just providing jobs, we strive to offer mentoring and growth opportunities for the people who work for us. Our 75% associate retention rate is a testament to our efforts. Our Founder Jim Grote’s daughter, Jane Grote Abell, brings her dad’s philosophy to life by promoting goodwill in the communities Donatos serves. The Donatos Family Promise Fund helps associates in need of financial support. We Have a Deep Commitment to the Environment, Too. With the purchase of a new shrink-wrap machine, Donatos is saving 125,000 pounds of plastic from going into landfills. Excess dough remnants from the bakery are not discarded to landfills, but instead provided to poultry and hog farmers as supplemental feed. Our FSI-certified pizza boxes are made from 100% natural fiber, and our napkins are 100% FSC certified. Donatos uses 100% compostable bowls and lids for salads and appetizers. Our Executive Team Shares to A Deep Commitment to Our Franchise Partners’ Success. Jane is a founding family member of Donatos Pizza, and over the last four decades, Jane has held a variety of positions with the brand. She was a major catalyst behind the decision to purchase Donatos back from McDonald’s and assisted with the expansion of the company since the purchase was made. Jane is also a strong community leader, is involved with many charities and social services in the Columbus area, and authored The Missing Piece: Doing Business the Donatos Way. Tom has been a part of the Donatos family since 2000, serving in various leadership roles. In October 2010, Krouse was named President and CEO, to become only the fourth CEO in the company’s history. With more than 20 years in the restaurant industry, he oversees the company’s restaurant division as well as the consumer products division of Donatos. Like many at Donatos, Doug was a brand fan first, back in his high school days. He later worked for Donatos as their auditor and eventually joined the Donatos Executive Team. Today he brings more than 30 years of experience in the restaurant industry to his role as CFO. In today’s world marketing, technology and innovation are more integrated than ever. Kevin leads our charge to fuse marketing and technology, and drive the innovation that will keep Donatos competitive for years to come. FAVORITE MENU ITEM: Pepp 200! Jeff has been involved with multiple brands over his 25-year career in real estate development and franchising. He oversees all aspects of real estate and franchising. He has been instrumental in the growth of Donatos in the Midwest and Southeast and led the redesign and rebranding of Donatos. 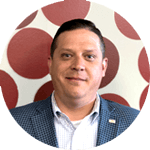 With extensive experience improving operations for hundreds of restaurants under brands like dineEquity (IHOP) and Red Robin, Amos now works with Donatos Franchise Partners to help ensure their businesses are running smoothly and successfully. The best pizza starts with the best pizza crusts, and Jane’s Dough Foods ensures the last bite is as good as the first. 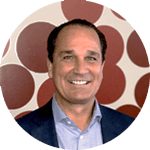 Stan also uses his 25+ years of consumer-packaged goods experience to grow presence in the grocery store frozen pizza aisle with brands Sonoma Flatbreads and Donatos.